Microsoft said Wednesday that the next version of its Windows PC operating system will run on ARM processors, part of an effort to adapt Windows to the fast-growing market for tablet computers, where Apple and Google have gained traction. It's a big move for Microsoft, whose desktop OS has traditionally run only on x86-type processors from Intel and Advanced Micro Devices. Chips based on ARM designs use much less power and are dominant in smartphones like the BlackBerry and iPhone and in tablets like the Apple iPad. Microsoft executives made the announcement during a press conference at the Consumer Electronics Show in Las Vegas, where tablet computers are the hot topic. CEO Steve Ballmer is expected to talk further about the effort in his keynote address that opens the show Wednesday evening. The move will bring Microsoft's operating system into the era of "system on chip" processors, such as the ARM chips made by Qualcomm and Texas Instruments, said Steven Sinofsky, president of Microsoft's Windows and Windows Live Division. A few vendors have launched tablets based on Microsoft's Windows 7 operating system but they have failed to catch the imagination of buyers. Part of the issue is that the x86-type processors draw too much power and limit battery life, but analysts say Microsoft's operating system is also part of the problem. "Windows 7 is not an OS that was designed for tablets," Forrester analyst Sarah Rotman Epps said in an interview earlier this week. It offers some touch-screen capabilities but the interface was not designed primarily with touch in mind. Still, Microsoft executives said bringing Windows to ARM chips will provide new flexibility for the software. The company is likely to develop new interfaces for future versions of the OS to make it more suited to tablets and other devices, though there was no discussion of that on Wednesday. In a nod to Microsoft's long-time partner Intel, Sinofsky noted that Intel's Atom processor is also a system-on-chip design, as well as Nvidia's Tegra. But he seemed most enthused about the software's potential on ARM processors. Microsoft gave what it called a "technology demonstration" of Windows on ARM, meaning the software is not fully developed and the company is not ready to show the user interface or provide pricing and packaging information, or even a ship date. It was intended to be an engineering demonstration, Sinofsky said. 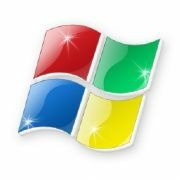 Sinofsky didn't say what the next version of Windows would be called, although it is widely expected to be Windows 8. The OS isn't expected for about two years, however, meaning Microsoft won't see a boost from the new chip architecture for some time. "It's interesting how they've all started to converge on the same baseline hardware requirements," he said. Forrester expects Apple to retain "a majority stake" in the tablet market through 2015, Rotman Epps said.